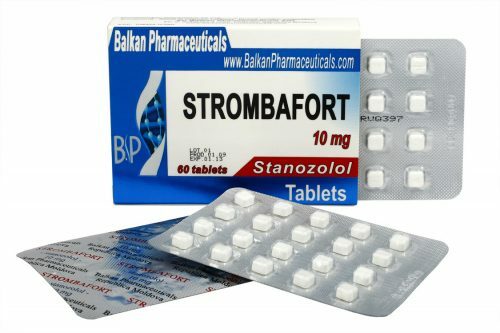 Strombafort from Balkan Pharmaceuticals – one of the most popular forms of Stanozolol. Oral drug has moderate androgenic activity (one third of testosterone) and high anabolic activity (320% of testosterone). Stanozolol was developed back in 1962. Initially, it was used on animals, but soon was approved by the FDA and began to rapidly gain popularity among athletes. Perhaps the most famous doping scandal in the history of the sport has been associated it with this drug. In 1988 at the Olympic Games in Seoul sprinter Ben Johnson, who won the final hundred meters with a new world record, it was disqualified for using Stanozolol. Strombafort – excellent tableted product with high bioavailability and stability. Due to the 17-alpha position of the alkyl group, it is not destroyed in the liver, but this same property makes it toxic. “Drawing” muscles relief. 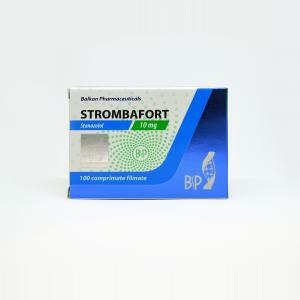 Strombafort improves relief of muscle tissue, and because of this is very often used by bodybuilders. Increased endurance and power performance. Removing excess of fluid from the body. Stanozolol is often used together with Methandrostenolone. Accelerating the metabolism and improving appetite. Strengthening actions of other anabolic steroids. 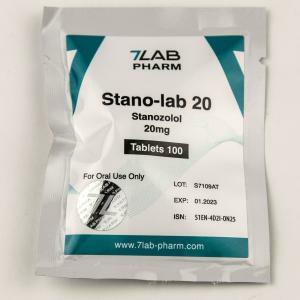 Stanozolol twice lowers globulin, which increases the bioavailability of medications. 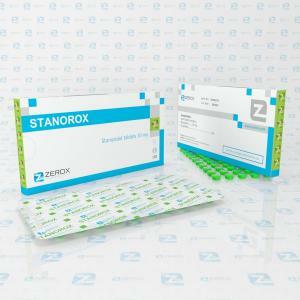 Stanozolol is mainly used in the “drying” period. As the property which does not store water and gives relief to muscles – quite a rare result from anabolic steroid use, which makes Strombafort for sale very popular among bodybuilders and athletes. Also in smaller dosages its often used by light athletes. Strombafort solo cycles are useful for improving the power performance without a set of weight. Stanozolol is ideal for people with moderate fat and sufficient weight. 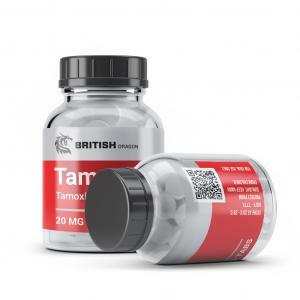 The dosage is individual and varies in the range of 10 mg (for athletes) to 50-60 mg per day. Strombafort cycle lasts no more than 8 weeks, otherwise the risk of liver damage increases. Experienced athletes on the question – how to take Strombafort? – unanimously answers – only in combination with Testosterone for sale. In itself, the substance Stanozolol – is soft enough, weight from it grows very slowly, but at the end of the cycle the rollback phenomenon hardly occurs. Stanozolol is widely used by women: female athletes are recommended a daily dosage of 5-10 mg. Exceeding the recommended dosage, one may experience joint pain (due to the Stanozolol properties of water output), increased blood pressure, cholesterol, hair loss, acne and liver damage. Side effects from Strombafort doesn’t occur, if you stick to the recommended dosage and duration of admission instructions. Together with Strombafort tabs in the cycle you can include hepatoprotective drugs or use them in the post-cycle therapy. 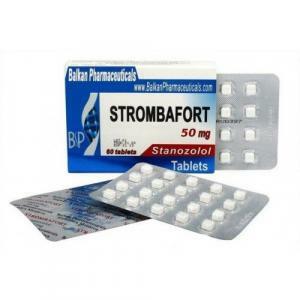 Quality to gain weight, minimal rollback phenomenon, availability and low price, lack of side effects – these are reviews of Strombafort from Balkan Pharmaceuticals. Athletes note the usefulness of the drug as a means of the supply to the main start of the season, wrestlers and boxers can increase strength without a “jump” into the next weight class. Numerous positive reviews about Strombafort leave no doubt on account of its efficacy and safety.